JECRC University invites high calibre individuals to realise career opportunities in academic and administrative & staff positions with us. We pride ourselves in providing an environment that encourages constant individual growth and development and nurtures leadership. Should you be interested in joining the JECRC, please apply online by clicking on the below vacancies. 15 years of experience in Teaching, Research and / or industry experience of at least five years at the position of assistant professor reader or equivalent grade. The reorganization for professional shall be valid only if the same is recommended by the vice-chancellor of the university. Demonstrated leadership in planning and organization academic, research industrial and /or professional activities. Ten years of experience in Teaching, Research and / or industry experience of at least five years at the position of assistant professor reader or equivalent grade. First class master's degree in the appropriate branch of Engineering and Technology. ii) Papers presented at conference and / or in refereed journals. An eminent scholar with Ph.D qualification(s) in the concerned / allied / relevant discipline and published work of high quality actively engaged in research with evidence of published work with a minimum of 10 publications as books and /or research / policy papers. Contribution to educational innovation design of new curricular, course and technology - mediated teaching learning process. A minimum score as stipulated in the academic performance indicator (API), performance based appraisal system (PBAS). An outstanding professional with established reputation in the relevant field who has made significant contribution to the knowledge in the concerned / allied/ relevant discipline to be substantiated by credentials. Consistent good academic record with at least 55% marks (or an equivalent grade in a point scale wherever grading system is followed) in two year full time PGDM declared equivalent by AIU /recognized by AICTE / UGC. A minimum of ten years experience as a professional in teaching / industry / research out of which five years must be at the position of reader or equivalent excluding the period spent for obtaining the research degree. Consistent good academic record with at least 55% marks (or an equivalent grade in a point scale wherever grading system is followed) in two years full time PGDM declared equivalent by AIU / recognized by the AICTE / UGC. A relaxation of 5% may be provided at the graduate and masters level for the scheduled caste/scheduled tribe/physically or visually disabled and categories for the purpose of eligibility and for assessing good academic record during direct recruitment to teaching position. The 55% marks for eligibility (or an equivalent grade in a point scale wherever grading system is followed) and the relaxation of 5% to the categories mentioned above are permissible, based on the qualifying marks without including any grace marks procedures. A relaxation of 5% may be provided from 55% to 50% of the marks to the Ph.D degree holders, who have obtained their Masters degree prior to 19 September, 1991. Relevant grade which is regarded as equivalent of 55% marks, wherever the grading system is followed by a recognized university shall also be considered eligible. The Ph.D degree shall be a mandatory qualification for the appointment of Professors and for promotion as a Professor. The Ph.D degree shall be a mandatory qualification for all candidates to be appointed as Associate Professor through direct recruitment. The time period for taken by a candidate to acquire M. Phill. And/or Ph. D. degree shall not be considered as teaching / research experience to be claimed for appointment to the teaching positions. Consistent good academic record with at least 55% marks (or an equivalent grade in a point scale wherever grading system is followed) in Master's Degree in business management / administration / in a relevant management related discipline or first class in two years full time PGDM declared equivalent by AIU / recognized by the AICTE /UGC. A minimum of eight years experience as a professional in teaching / industry / research out of which five years must be at the managerial position excluding the period spent for obtaining the research degree. A minimum of Ten year's experience of teaching industry / research /profession, out of which five years must be at the position of assistant professor or equivalent excluding the period spent for obtaining research degree. The candidate should have professional work experience, which is significant to Ph.D and 10 years managerial experience in industry / profession of which at least 5 years should be at the level comparable to that of lecturer / assistant professor. Experience of guiding the project work / dissertation of PG /research students or supervising R&D projects in industry. First class Masters degree in business management / administration / in a relevant management related discipline or first class in two year full time PGDM declared equivalent by AIU / accredited by AICTE / UGC. First class graduate and professionally qualified Charted Accountant / Cost and Works Accountant / Company Secretary of the concerned statutory bodies. Papers presented at conferences and / or published in refereed journals. A minimum score as stipulated in the academic performance indicator (AP) ,performance based appraisal system (PBAS). Good Academic record as defined by the concerned university with at least 55% marks (or an equivalent grade in a point scale wherever grading system is followed) at the Masters degree level in a relevant subject from an Indian University. Beside fulfilling the above qualifications the candidate must have cleared the National Eligibility Test (NET) conducted by the UGC, CSIR or similar test accredited by the UGC like SLET / SET. A minimum of 13 years (5 years worked as Associate Professor in relevant discipline) of teaching experience in a University / College and /or experience in research at the university / National level institute / Industries including experience of guiding candidates for research of doctoral level. Good academic record with a Ph.D Degree in the concerned / allied / relevant disciplines. Masters degree with at least 55% marks (or an equivalent grade in a point scale wherever grading system is followed). A minimum score as stipulated in the academic performance indicator (AP), performance based appraisal system (PBAS). Beside fulfilling the above qualifications the candidate must have cleared the National Eligibility Test (NET) conducted by the UGC/ Ph.D.
A minimum of 15 years of teaching experience in a University / College and /or experience in research at the university / National level institute / Industries including experience of guiding candidates for research of doctoral level. Qualification: First class at Bachelors (3 year degree or Diploma after 10+2 in HMCT) or equivalent and Master’s Degree in Hotel Management and Catering Technology with First Class or equivalent either in Bachelors or Master’s Degree. PhD or equivalent, in appropriate discipline, Post PhD publications and guiding PhD student is highly desirable. Experience: Minimum of 10 years’ experience in teaching and/ or Research and/or Industry. In case of research experience, good academic record and books/research paper publications/IPR/patents record shall be required as deemed fit by the expert members in Selection committee. 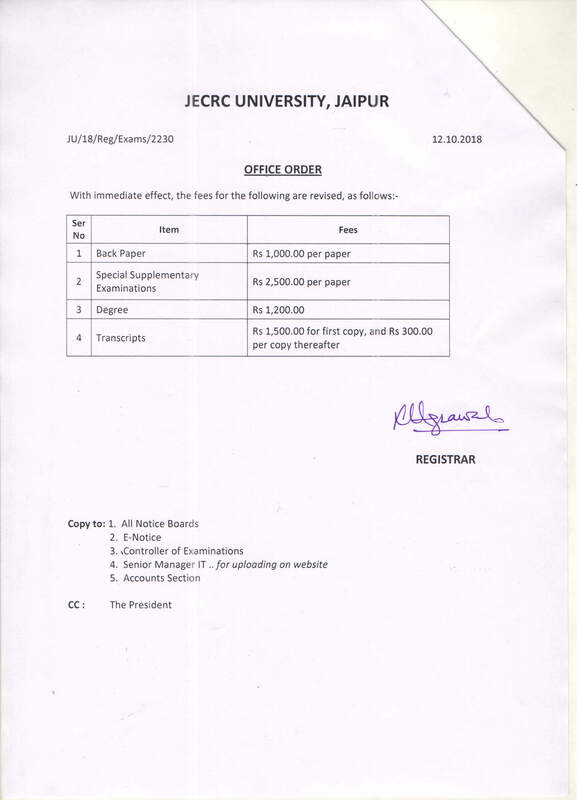 If the experience in industry is considered, the same shall be at managerial level equivalent to Associate Professor with active participation record in devising/designing, planning, executing, analysing, quality control, innovating, training, technical books/research paper publications/IPR/patents and expert members in Selection committee. Qualification/ Experience: First class at Bachelors (3 year degree or Diploma after 10+2 in HMCT) or equivalent and Master’s Degree in Hotel Management and Catering Technology with First Class or equivalent either in Bachelors or Master’s Degree and PhD or equivalent, in appropriate discipline. Post PhD publications and guiding PhD student is highly desirable. Minimum of 5 years’ experience in teaching and/or research and/or industry of which at least 2 years shall be post PhD is desirable. Qualification/Experience: First class at Bachelors (3 year degree or Diploma after 10+2 in HMCT) or equivalent and Master Degree in Hotel Management and Catering Technology with First Class or equivalent either in Bachelors or Masters Degree OR 8 year relevant experience. First class at Bachelors 4 year degree or equivalent and Masters Degree in Hotel Management and Catering Technology with First Class or equivalent either in Bachelors or Masters Degree OR 7 years relevant experience. (i) An eminent scholar with Ph.D. qualification(s) in the concerned/allied/relevant discipline and published work of high quality actively engaged in research with evidence of published work with a minimum of 10 publications as books and/or research/policy papers. (ii) A minimum of ten years of teaching experience in university/college, and/or experience in research at the University/National level institutions/industries, including experience of guiding candidates for research at doctoral level. (iv) A minimum score as stipulated in the Academic Performance Indicator (API) based Performance Based Appraisal System (PBAS), set out in this Regulation in Appendix III. i. Doctoral degree in concerned /relevant subject /discipline. ii. Minimum 8 years experience as Assistant Professor or in an equivalent position, recruited in the pay-band 3 of 15600-39100. (Excluding the period spent in obtaining the Ph.D. degree during service, subject to maximum of three years) in Research/ Extension Education/ Teaching. iii. Evidence of contribution to Research/Teaching/Extension Education as supported by published work in referred journals/Innovations with a minimum of 5 publications as books and /or research/policy papers. iv. Contribution to educational innovation, design of new curricula and courses and technology mediated teaching/learning process, having guided M.Sc and Ph.D. students. v. A minimum score as stipulated in Academic Performance Indicator (API) based Performance Based Appraisal System (PBAS) set out by the University. i. A minimum of 55% marks (or an equivalent grade in a point scale wherever a grading system is followed) will be required at the Master's level degree in the relevant subject from the recognized University. ii. One publication in NAAS (National Academy of Agricultural Sciences (NAAS) rated referred journal. iii. Candidates must have cleared the eligibility test (NET) for Assistant Professor(s) and equivalent position, conducted by ASRB/U.G.C./C.S.I.R. or similar test accredited by the UGC like SLET/SET. iv. Essentiality of NET can be waived off for the candidates holding Ph.D. degree provided it has been done with course work as prescribed by the UGC Regulations, 2009 and as amended by the ICAR/UGC from time to time (and also as per ICAR letter No. 23(46)/2010-EQR (Edn.) dated 26th December, 2011, issued by ADG (EQR), and the candidate has at least two full length publications having a NAAS rating not less than 4 on the last date of submission of application. (e) Open Ph.D. viva-voce of the candidate had been conducted. to (e) as above are to be certified by the President / Pro-President / Dean (Academic Affairs)/Dean (University Instructions)/ Director (Resident Instructions). vi. NET shall not be required for such Master’s Programme in discipline for which NET is not conducted. vii. A minimum score as stipulated in Academic Performance Indicator (API) based Performance Based Appraisal System (PBAS) set out by the University. i. Good academic record with a Ph.D. Degree in the concerned/allied/relevant disciplines. ii. A Master’s Degree with at least 55% marks (or an equivalent grade in a point scale wherever grading system is followed). iii. A minimum of eight years of experience of teaching and/or research in an academic/research position equivalent to that of Assistant Professor in a University, College or Accredited Research Institution/industry excluding the period of Ph.D. research with evidence of published work and a minimum of 5 publications as books and/or research/policy papers. Performance Based Appraisal System (PBAS), set out in this Regulation in Appendix III. i. Good academic record as defined by the concerned university with at least 55% marks (or an equivalent grade in a point scale wherever grading system is followed) at the Master’s Degree level in a relevant subject from an Indian University, or an equivalent degree from an accredited foreign university. iii. Notwithstanding anything contained in sub-clauses (i) and (ii) to this Clause 4.4.1, candidates, who are, or have been awarded a Ph. D. Degree in accordance with the University Grants Commission (Minimum Standards and Procedure for Award of Ph.D. Degree) Regulations, 2009, shall be exempted from the requirement of the minimum eligibility condition of NET/SLET/SET for recruitment and appointment of Assistant Professor or equivalent positions in Universities/Colleges/Institutions. iv. NET/SLET/SET shall also not be required for such Masters Programmes in disciplines for which NET/SLET/SET is not conducted. 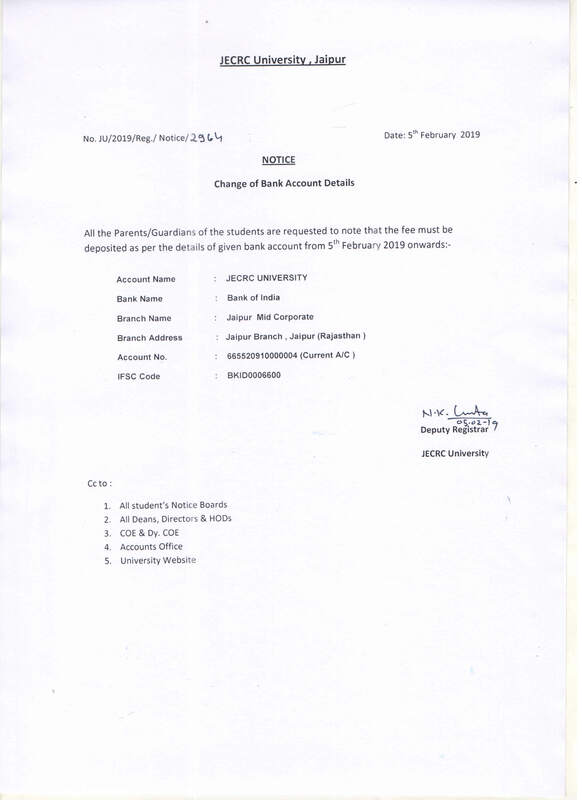 Note: As per the Central Universities Act 2009, Section 44 (b), the first Finance Officer is to be appointed by the Visitor and hold the office for a term of three years. Hence the appointment to the post of Finance Officer will be subject to approval by the Visitor and will be for the balance of the term (2 years and 4 months approx). 5 years of administrative experience as Assistant Registrar or on an equivalent post. Three years of experience in Web Designing and Maintenance, Software Development, Programming, Networking. 5 years experience as Superintendent / Senior Assistant in a State / Central / Deemed University / Affiliated or Autonomous College / Public Sector Undertaking / Autonomous organization / Multinational organization / Government. Master's Degree from a recognised university in Science/Engineering/MBA/PG Diploma in Personnel Management & Administration, or equivalent. Candidates with more than 5 years experience in the same field and Ex-serviceman will be preferred.